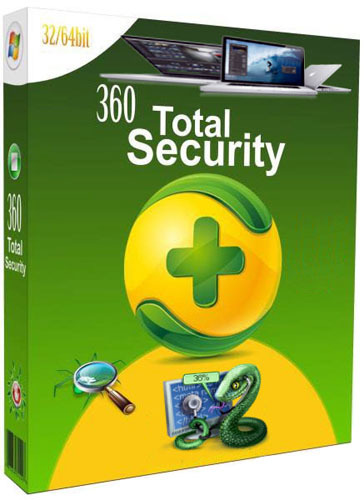 360 Total Security - includes an antivirus scanner, a cleanup tool and a startup booster, all wrapped nicely with an intuitive GUI. Antivirus protection powered by three distinct engines. When you run the utility for the first time, you need to allow it to take the time to thoroughly analyze the status of your PC, so as to identify the areas where it needs to be improved upon. Next, you can initiate an antivirus scan, choosing between full, quick and custom - once the scanning is complete, 360 Total Security displays a detailed list with all the detected threats and you can specify the action should be taken. If you are sure that the suspicious file is safe, you can mark it as trustworthy and the app will no longer flag in the future. Otherwise, all detected files will be moved to the quarantine. Effortlessly remove junk files from your PC and free disk space. Another handy function of 360 Total Security is searching for obsolete files and folders on your computer that prevent it from running at full speed. Once the said files have been identified, you can choose the ones you want to keep, then remove the rest of them, thus freeing up space on your hard disk and improve the performance of the PC. Improve the boot speed and disable unnecessary startup items. In addition, you can rely on 360 Total Security whenever you want to explore the applications that are set to run at Windows startup. You can also browse through the scheduled tasks, application services and system services and disable the ones you consider to be unnecessary. The application displays some advice regarding the entries you should disable or not, so as not to jeopardize the systems stability. All in all, 360 Total Security is a reliable solution that can keep malware at bay, while also cleaning your PC of junk data and boosting its speed.